2015 was a rainy, interrupted season in the Hunter and Brokenwood’s Chief Winemaker, Iain Riggs believes that it will be the single vineyard wines that really stand out. 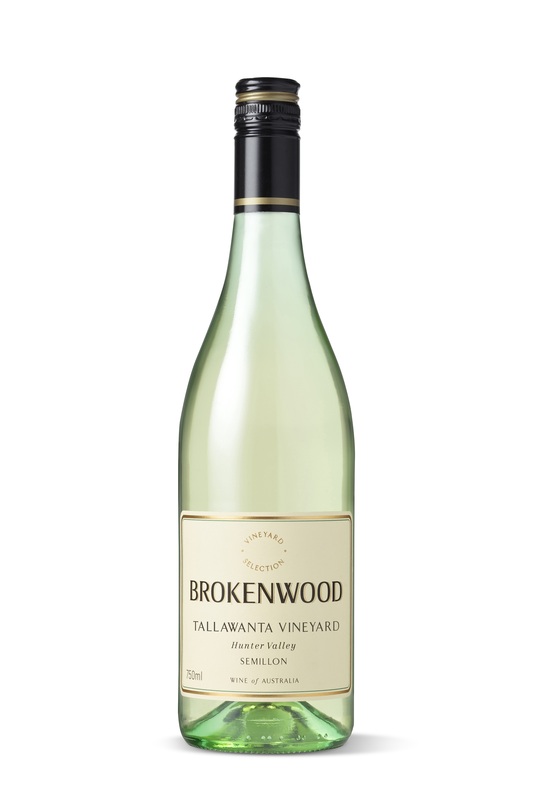 This is the inaugural release under Brokenwood’s “custodianship” of the Tallawanta vineyard. The site was planted in 1920 and is located between the Hunter Valley Gardens and Harrigan’s Irish Pub on Broke Road (pretty much central Pokolbin). A shiraz from the same site has also been released from Brokenwood after many quality releases from other noteworthy Hunter wineries, the last being from Pepper Tree in the excellent 2014 vintage. Available from April 2018. Sign up to the “Friends of Brokenwood” newsletter to receive further details. Bright lemon clear with green highlights. Aromas of lime, lemon ice, smoky green leaves and soft baby powder. Juicy acidity, lime/lemon drop and lantana hints with a steely disposition. Shows a glimpse of the some of the challenges of the vintage, with a softer, rounder structure than one would expect in such a young Hunter semillon but flavour and length still show the hallmarks of quality winemaking from a quality vineyard.